A Temporary Occupancy Permit (TOP) is issued by a building surveyor under the Building Act 2016 (external link). The permit allows the use of an existing building or temporary structure for a short term activity such as a public or a private event. A Temporary Occupancy Permit may be granted for up to three years for a structure that is going to be used in the same way, under the same conditions. When is a temporary occupancy permit required? temporarily use an existing building for a use which is not the normal use permitted. An example is holding a market in a warehouse. The normal use of the warehouse is goods storage; the temporary use is a public market. operate an event or function using temporary structures. For example booths, tents, marquees, seating or stages. put up a temporary building or a temporary structure on private property. For example a temporary boat or vehicle shelter, a temporary radio mast or for a wedding or party. a temporary occupancy permit is not required. sporting events where there are temporary structures erected e.g. car rallies, rowing carnivals, school sports days. An owner or an agent of an owner may apply through their building surveyor for a Temporary Occupancy Permit. The application form is available from your building surveyor. Some types of smaller temporary structures are exempt from requiring a Temporary Occupancy Permit. Exemptions are detailed in the Building Regulations 2016 (external link). prefabricated buildings less than 50m² for temporary use. a tent for temporary use in a caravan park, camping ground or similar area. Specific exemptions from a permit also apply to groups of small tents, stalls and gazebos used by stallholders for shelter and storage. The maximum size of each group of structures is 80m² and more than one group is permitted on a site as long as there is adequate separation between them. Special safety criteria also apply to any structures where an ignitable fuel is used, such as for cooking. Refer to regulation 70 of the Building Regulations 2016 (external link) for more details of what are exempt structures and the specific conditions that may apply. Building owners, event managers, stall holders and people putting up structures must comply with all other legal requirements before an event or new use begins. A Place of Assembly Licence is required under the Public Health Act 1997 to use or lease a place where the public congregates for special events. This is to protect the health and safety of patrons. This applies to mass gatherings only (1000 people present for at least 2 hours).  Apply at your Local Council (external link) for a Place of Assembly licence. If your event is serving food you should contact your Local Council (external link) to make sure you meet the minimum food safety requirements. The Department of Health and Human Services Guidelines for Mobile Food Businesses 2015 (external link) are available. The guideline was developed for individuals, businesses, charities and community organisations that operate mobile food businesses (for example food vans and temporary food stalls). You may need a liquor licence if serving alcohol at an event. More information is available from the Liquor and Gaming Branch of the Department of Treasury (external link). The place where the temporary structure is put up and used by the public is a workplace. Contact your Local Council (external link) to see if there are specific By-Laws regulating markets.